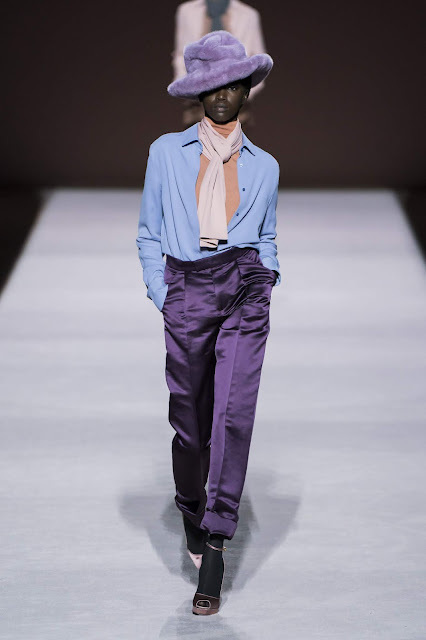 Tom Ford left his glamorous side at home while designing his Fall 2019 ready-to-wear collection. The American designer showcased a new side of his design aesthetic through the presentation of his latest collection at this season's New York Fashion Week. The designer toned down his wild side for this collection. Ford addressed his unexpected collection describing it as a "search for security," which describes the collection perfectly since its pieces could be considered safe in comparison to what we usually get from Ford. Despite lacking that bit of extraneous, which makes Ford's pieces different to any other designer's, he still managed to keep his print on all the looks he sent down his runway. His collection was focused on the perfect loose fitting fits, which added a beautiful flow and effortlessness to the looks. Ford took his talent for tailoring, most prominent in his work for men's suits, to womenswear. The designer's take on suits for this collection was a more casual one, with a strong focus on color blocking. The silk suit pants shone brightly as the lights hit them, adding a whole new level of luxury to the outfits. Scarves and faux fur fedora hats of various cool tones were the staple accessories for the show. They added to the looks, making them much more than just business-y looks. They added a sense of easiness to the bold suits. The smooth transition from the bold winter colors to the olive greens and finally the all black looks made the collection a journey, one that tells a story. All of the looks were paired with a smokey eye and a sleek side part, pulled back hair. The make up added a sense of wildness to the extremely put together looks and the hair brought it all back to chicness and sophistication. 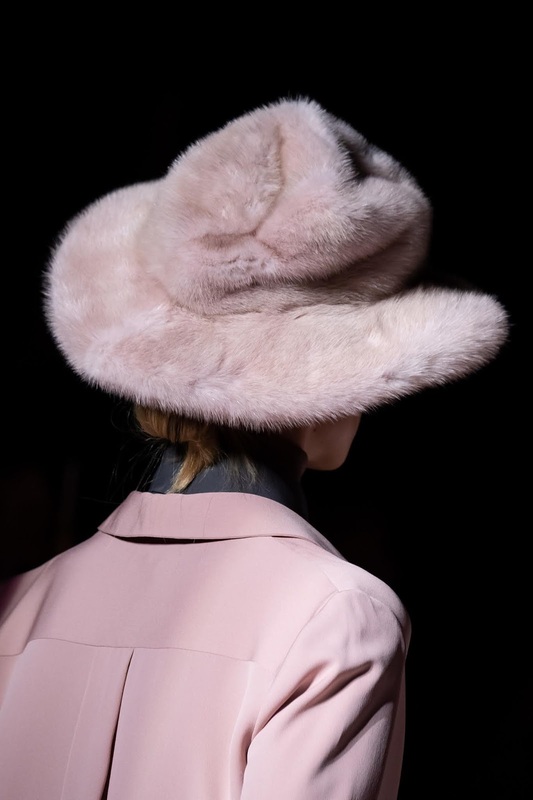 Thanks to this collection, we can expect fur fedoras to be the next big trend. And we can't wait to see how our favorite bloggers style them for their street style looks.